In political science, case studies are used to exemplify theories and models and to gain in-depth insight of a concept at work. Case studies make clear and tangible what are merely ideas. As a follow-up to and exploration of the politics of international food aid, it makes sense only to do as all political scientists are taught; investigate with a case study. In order to explore the politics of international food aid, this article will use a case study investigate the effects of the food aid regime on an individual state. While many states across the world are recipients of international food aid, one in particular showcases the many problems of the food aid regime. 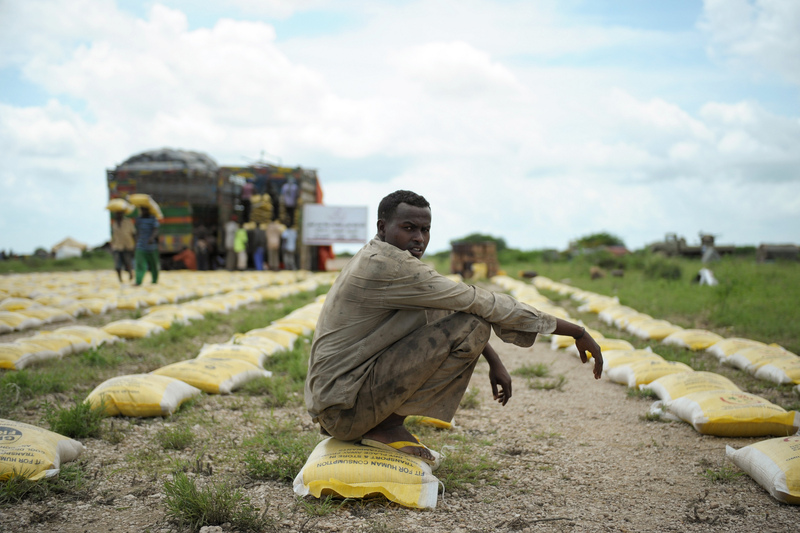 Embattled with corruption, violence, famines, 3.7 million in need of aid, and a distaste for the nations providing it with aid, Somalia makes for the perfect case to prove the complexities of and need for reform in international food aid regime. To understand the food aid dynamics in Somalia today, it is important to contextualize it with some political background. Somalia has had no central government since the last legitimate regime of Siad Barre fell in 1991. Following the rise and fall of the relatively peaceful Islamic Courts Union (ICU), terror group al-Shabaab rose to power across the state. A jihadist group, al-Shabaab holds a deep animosity towards the west, especially the US. Having carried out a number of domestic massacres, even one as recently as December 2017 killing 500, as well as over 150 foreign attacks, the group is one to be reckoned with. Al-Shabaab also holds power largely through local warlords who work on their behalf in rural communities. All of this is essential to recognize in order to understand the dynamics of international food aid in Somalia. 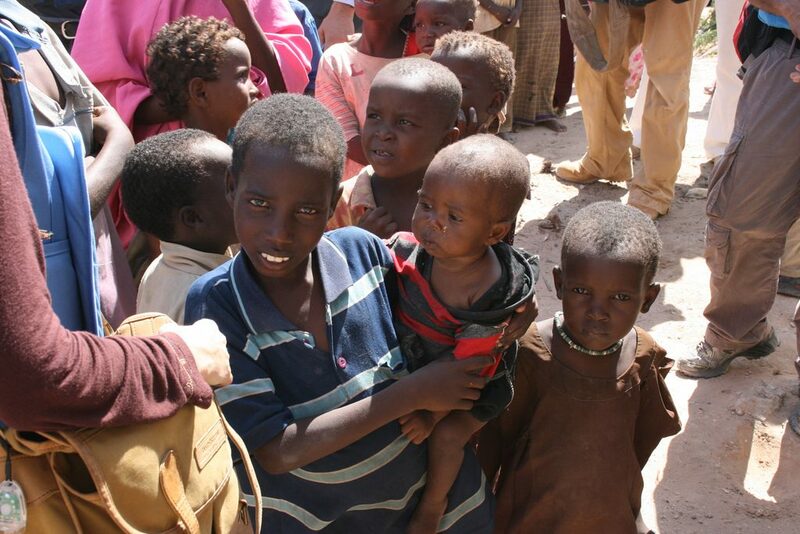 Children in line food food aid distribution in Mogadishu, 2011. Photo by James Hooley, published online by DFID. Via Flickr Creative Commons. 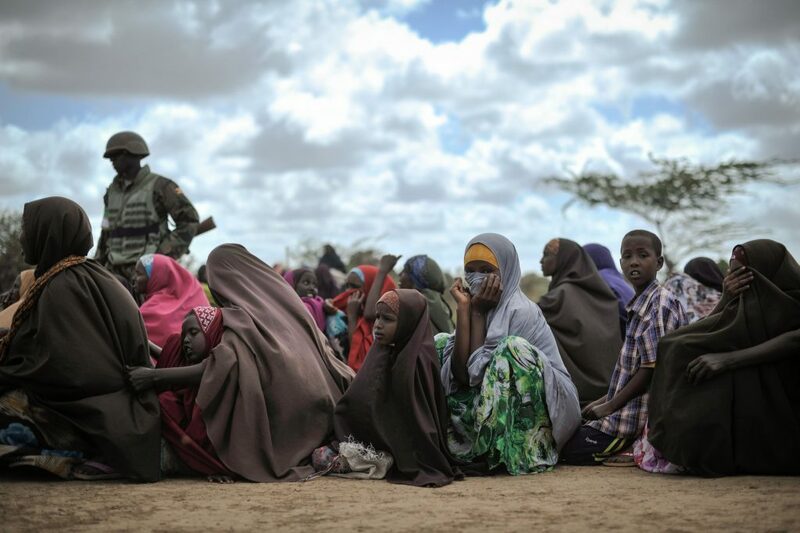 While food aid is not always accepted by al-Shabaab, what happens when it is? Food provided by the World Food Program (WFP) at the UN is marked as no sale when given to Somalia; in other words, it is meant to be distributed to those in need at no cost. In reality, this food is often taken by the warlords, with 95% of WFP aid controlled by a-Shabaab, and then used in a way that facilitates violence and corruption. With this new, free, supply of food, the warlords and al-Shabaab are no longer reliant on local agricultural populations for sustenance. In this case, there is no longer have any real need for farmers and warlords are free to abuse them economically and physically, through violence or raids. Warlords can also use food aid for economic gain and leverage against local populations; It can either be sold or used as a tool of coercion for whatever they please. Foreign food also undermines the local economy and local farmers. In addition to the repercussions already discussed, there is also the simple reality of a loss of income for farmers. Lacking food aid, warlords would originally pay farmers with either money or protection, and the loss of either is harmful to farmers. Made vulnerable to raiding, farmers need access to markets , but they are often shut out when they are flooded with cheaper foreign foodstuff. As was mentioned earlier, food aid is not always accepted by al-Shabaab. The effects of this are twofold: strengthened legitimacy for the terror group and violence. In attempting to assert dominance and create the façade of legitimacy, al-Shabaab has created their own national food aid office, which warns against dependency upon food aid from infidels and refuses foreign food, allowing only aid towards helping Somali farmers. Female IDPs sit waiting at a food distribution center in Afgoye, 2013. Photo by Tobin Jones, published online by AMISOM Public Information. Via Flickr Creative Commons. While this may sound like a step towards self-reliance, this will never be the case in a failed state with a corrupt regime which cannot be held accountable to distribute those funds. This also creates a perception of authority for al-Shabaab — dealings with international organizations such as the WFP and the UN only legitimize the regime. As for violence, the influx of money does not only empower al-Shabaab to employ violent tactic, enforcement of their regulations is also quite violent. In 2009, a number of UN aid workers were attacked and injured for their role in food aid. In analyzing the effects of international food aid upon Somalia, it is clear that the status quo is ineffective in providing food to the hungry and empowering those most disadvantaged. In fact, the international food aid regime empowers rogue states by providing fodder for corruption, as well as acting as an external; enemy enhance the image of al-Shabaab and other organizations. Were there to be a successful local, sustainable food policy in effect in Somalia, the problems posed by the WFP would exist on a much smaller scale and there would be a chance for future self-sustainability. It is difficult to imagine how to funnel international funds into such a project while dealing with a corrupt regime. While food aid may be a necessary evil to assist developing states, there is no doubt that food aid policy as it exists today must be reformed. Feature image by Tobin Jones for UN Photo, published online by United Nations Photo. Via Flickr Creative Commons.